We spoke to Healing School in Grimsby about how it’s redesigning its professional development programme to help all teachers continually improve. Almost every teacher in the world wants to improve. But the demands of the job, time pressure and mental fatigue means that reflection time often gets put at the bottom of the to-do list – and drops off it. We’re always excited to hear from schools who have made a real and sustained commitment to CPD. So that’s why it was great to speak to Richard Burrows, Assistant Principal at Healing School, about how they have put professional development at the heart of what they do. I’ll share some of the strategies they use here, but you can also download the case study. ‘I need to know everything the staff do has an impact’, says Richard. For CPD to work successfully, tracking, structuring and evaluating it has to be at the heart of school life. All teachers at Healing belong to one of four professional learning groups. An NQT group, based around ‘securing good’. This group is supported by lots of in-house training and constant guidance. 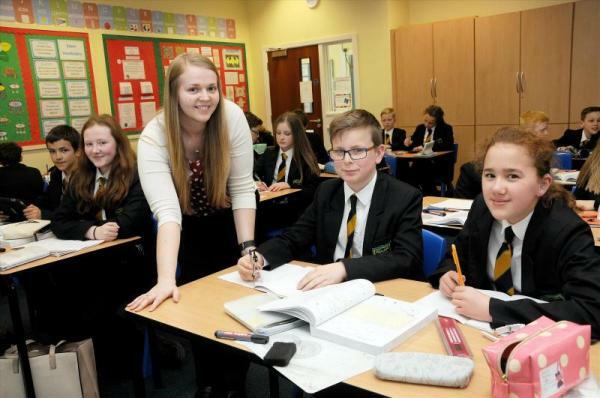 A ‘consistently good’ group for recently qualified teachers or new staff. The emphasis is on developmental observations, peer observations and mentoring, as well as personalised support. A group of ‘lead practitioners’ who have demonstrated their effectiveness in the classroom. These teachers have their lessons open so anyone who wants to observe can. A group of ‘teaching and learning champions’ who are responsible, along with SLT, for supporting whole-school teaching and learning. Their lessons are open and they have a leading role delivering CPD in the school. By having groups focusing on key teaching and learning issues the CPD structure keeps the main business clearly in sight – prioritising continual improvement in classroom practice. While this CPD programme has worked well so far, Healing School also want to prioritise opportunities for teachers to learn from each other, and to embed a culture of personal ownership of learning and research. David King, who leads the teaching and learning champions, outlines how their role is changing to become less about observation and more about development. 'We're trying to fit CPD to the teacher's needs, and what they want from professional development. rather than what we feel they need,' explains David. It's about developing expertise rather than judging it, and the ability of teachers to accurately self-assess where they need to develop. It’s all very well sharing ideas or signposting resources, but if practice doesn’t improve over time then the main point of CPD has been lost. Healing School’s solution to this was to roll out research enquiry using Optimus resources: teachers doing research with a mentor guiding, supporting and checking up on them. In the NQT group, for instance, every teacher will be expected to undertake some form of research on Optimus Education’s Knowledge Centre: they might look, for instance, into best practice on marking and formative assessment, mastery teaching or statutory safeguarding responsibilities. Recently qualified teachers will pick three units to cover from Optimus’s teacher development programme, on top of the school’s own training, ensuring they are clear about good practice in some of the core issues of classroom teaching. As part of the school's membership, every member of staff has access to these resources, saving valuable time and helping embed best practice. As Jonathan Blockley explains, one of the most important features of CPD is that it's differentiated for the needs of individual staff, and Optimus resources are helping Healing to achieve that. Richard is clear that just asking teachers to research a topic without support or structure is likely to fail. ‘A structure needs to be in place to make sure research has an impact and help share what’s been learned’. Both lead practitioners and teaching and learning champions will be expected to act as authorities on Optimus resources and other sources of good practice – they will signpost teachers to the most relevant resources. Teaching and learning champions will be expected to keep a weekly log to track and reflect on what they’re doing: another way of making regular review of the effectiveness of CPD an intrinsic part of school life. This large internal community of teaching and learning focused practitioners means that much of the professional development is created, led and evaluated from the middle leadership, and even relatively new teachers. Becky Roberts, who joined Healing School as an NQT, says that their approach to CPD meant she was able to progress from the get-go. 'For me, CPD needs to offer the prospect for progression', says Becky. 'If I were kept on the same CPD programme as everyone else, or hadn't been given something to work on, I might have become restless. This way, I'm recognised for the work I put in'. Dylan Wiliam once commented that CPD often tries to get teachers to ‘think their way into a new way of acting, whereas it would be far more effective to get teachers to act their way into a new way of thinking’ (‘Teacher quality: how to get more of it’). To make sure that professional learning connects to practice, Healing School have come up with a few innovative methods. Watch, impress, share. The teacher selects anything from the teachers’ standards that they are really good at. This enables a teaching and learning champion (TLC) to visit and become ‘impressed’. The TLC can then share this idea with other teachers. This can be used as evidence for any TLC application. Reflection lessons. A TLC can visit a lesson of the teacher’s choice, normally dropping in for a 20 minute segment of the lesson. The teacher then reflects on the lesson with the TLC and keeps the documentation as evidence. Plan together, teach together. Recently qualified teachers plan a lesson with either their peers or the TLC, and then teach this lesson with the TLC and possibly one other teacher watching. Only positive feedback is allowed. Richard Burrows, Assistant Principal, outlines further how the staff have tried to make CPD at Healing high-impact: 'the key thing is that it's got to impact in the classroom, it's got to make a difference'. To get more detail on the CPD strategies Healing use, download the full case study. And want to find out more about how Optimus Education helps schools develop and personalise their CPD offering? Get in touch with us on 0845 450 6404 or head to our website for more details.